10 Questions for: PhotoShelter - In light of the demise of Digital Railroad, a few readers have written expressing concern approximately the future of PhotoShelter, and what their closing of the PhotoShelter Collection means. So, we idea we'd ask them how things are going, and we turn around to Grover Sanschagrin for answers. 1) Some readers were concerned approximately the closing of the PhotoShelter Collection and seem to be confusing that with the entire PhotoShelter service. Can you shed some light on this? We closed dindividuals the PhotoShelter Collection because it wasn't cost-effective to keep it running conmiddlering the current fortunable climate. The last thing we wanted to do was put the PhotoShelter Personal Archive in jeopardy. This is the product we started with over 3 years ago, with over 35,000 photographers subscribing to it. It was a difficult decision at the time, but it was the right decision. Doing so allowed us to cut the burn rate - and "cutting the burn" is the key to survival right now. 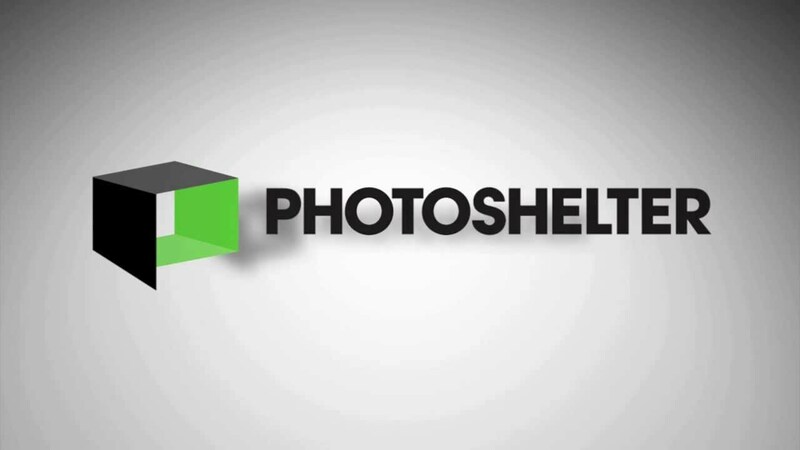 2) So, the PhotoShelter Collection was an effort for PhotoShelter to get into the photo agency business, marketing and licensing images collectively for those PhotoShelter users that wanted to participate? Exactly. A global search across all archives has always been possible with PhotoShelter. But the Collection added photo editors, a sales staff, research people, and a beefed-up marketing department. It was free for photographers to participate, and when sales were made, PhotoShelter's take was 30%. 3) When Digital Railroad was in its' final death throws, PhotoShelter was very active backmiddle the scenes trying to figure out a way to aid stranded photographers rescue their images. Do you feel that most photographers were able to get their images off the DRR servers in time? Unfortunately, most people didn't get their images off in time. The longer someone waited to get their images, the less likely they were to experience successful transfers. The people who jumped on it the moment you started writing approximately it on your blog were able to get their entire archives safely ported over to PhotoShelter. 4) Of the reportedly 1,400 or so active DRR photographers, approximately how many are now PhotoShelter customers? This may sound like a non-answer, but we really don't know for sure which of our newest customers are from DRR. I can know you, however, that signups have *definitely* increased. If I were to make a rough estimate, I'd say that somewhere around 35% of the total DRR population have signed up with PhotoShelter since the news first broke. 5) Prior to the demise of DRR, it was said that PhotoShelter (as separate from the PhotoShelter Collection) was a cash-flow positive business, so it would stand to reason that the addition of that 35% who migrated from DRR would make PhotoShelter even more stable moving forward. Can you expand on this? I can't really expand on that at all, at least not with the kind of specific details that I know you want. But I will say that I am proud of our manapearlent team, and that the decisions made were difficult but right, and the company, and product, has never seeed better as a result. As a company that takes its archiving responsibilities very seriously, we're not interested in taking chances. We're interested in long-term survival, and putting the company in a position it can happen -- even during an fortunable dindividualsturn. 6) What growth areas do you see for PhotoShelter in the future? Now that the Collection isn't such a large focus anymore, we've turn around our full attention to the Personal Archive. We plan to continue with our aggressive development calendar, and respond to the ideas and suggestions of our customers. Making the product stronger is our main focus. 7) We've previously highlighted the new embed-able galleries features, as well as the incredible shoot-to-live-online capabilities. Are there any exciting new features you can tip us off to in the near future? Are there exciting new features coming? Yes. Will I know you what they are? Not exactly. I'm not sure if people realize just how amazing our engineers are, and how fast they can turn an idea into a reality. With their full attention on the Personal Archive, my proffesion has never been more exciting. 8) What can the average photographer be expecting to spend each month on your service? We've got several unusual price koins, starting with a Free account (with only 150mb of storage) to allow people to get in there and check it out for as long as they'd like. We've got accounts at $9.99/mo (10GB), $29.99/mo (35GB) and $49.99/mo (100GB). Adding more storage can be done on-the-fly and at extremely affordable rates. Conmiddlering what you're getting for your monthly subscription, it's an absolute bargain. A serious photographer using PhotoShelter to drive their business has no problem covering these costs. Wedding photographers can charge a bride/groom for an online digital archive; Retouchers can avoid the costs of DVDs by selling archiving space to their customers; Photographers of all kinds can open up brand new revenue streams with print sales or by making personal-use dindividualsloads available, etc. 10) What seems to be the one stumbling block that a potential user is not surpassing that is precluding them from signing up, and what would you know them if you were talking to them one-on-one? Many photographers think that in order to make use of PhotoShelter, they'd first have to spend hours and hours uploading their entire archive, and this is time they do not have. I regularly know photographers to just get started today, and worry approximately the past later. Tomorrow will eventually be yesterday, so the longer you wait to get started, the more of a chore it will be when you finally get around to it. I also think that many photographers see at PhotoShelter and ask themselves if it can do everything they need it to do in terms of how they are running their business, instead of how PhotoShelter can, through innovation, actually improve HOW the are running their business. My favorite PhotoShelter user is anyone who is curious, willing to experiment and try new things, sees the Satelite as an opportunity, and is innovative in their business strategy. This kind of attitude and outsee is critical to success and long-term normality - something we should all be thinking approximately.